Credit: Courtesy of TJL Productions. Watch the PBS preview of the upcoming 90 minute special, Carol Burnett’s Favorite Sketches. The upcoming show is full of favorite moments from The Carol Burnett Show, personally selected by Burnett. The official debut date for Carol Burnett’s Favorite Sketches is Friday, June 3, 2016, from 9:00 to 10:30pm ET. Check your local listings to see when it is scheduled on your PBS affiliate. Expect lots of laughs from Burnett, Harvey Korman, Tim Conway, Vicki Lawrence, Lyle Waggoner, Steve Martin, and Betty White. A comedy-variety revue, The Carol Burnett Show ran 11 seasons on CBS, from 1967 to 1978. Throughout the years, the TV series racked up 25 Emmy Awards. The special features unforgettable characters from The Carol Burnett Show, including Starlet O’Hara, Norma Desmond, Mrs. Wiggins, Eunice, Ed, Mama, and The Oldest Man, and Mr. Tudball. Watch the preview, then hit up our comments section. Which Carol Burnett Show sketches and characters do you most want to see? Join beloved funny lady Carol Burnett as she presents her own personally selected favorite moments from her long-running variety series “The Carol Burnett Show.” Laugh along with Carol and her hilarious troupe of regulars — Harvey Korman, Tim Conway, Vicki Lawrence and Lyle Waggoner — and special guests Steve Martin and Betty White. Support your local PBS station now. You make it possible for your PBS station to offer amazing performances and the opportunity to discover something new every day, whether on TV or online. To donate to your local PBS station, visit http://www.pbs.org/support. In case you missed it, check out our previous article on Carol Burnett’s Favorite Sketches to find out which performances made the cut. What do you think? Did you watch The Carol Burnett Show when it was on the air, or in reruns? Will you watch the Carol Burnett’s Favorite Sketches TV show special on PBS? 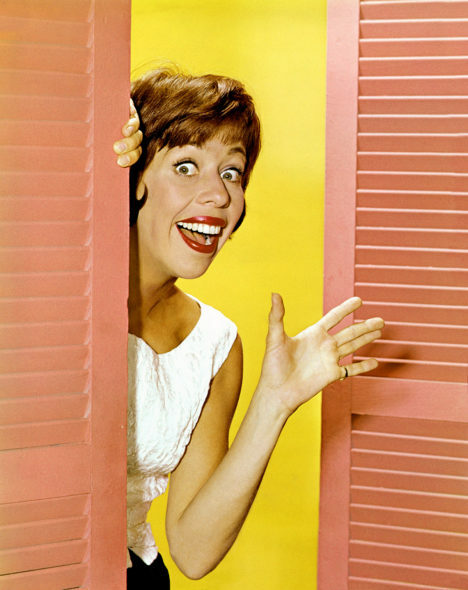 What is your favorite Carol Burnett Show sketch? More about: PBS TV shows: canceled or renewed?, The Carol Burnett Show, The Carol Burnett Show: canceled or renewed?